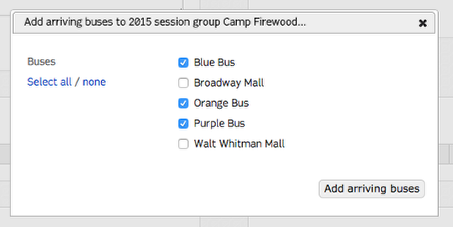 Buses sharing the same direct and mode will be available to add to the session group. The buses will be added to the transportation form. Double-clicking the pencil next to a bus allows you make the bus unavailable for parents to select on the transportation form.